Have you seen what is available in the market as far as drapery sheers? The variety you will find in design show rooms are amazing and unique! In this room the colors were dark and the room is somewhat small, therefore the treatment selected was stationary sheers to let as much light in as possible. In this room a very unique sheers were selected, and that was just enough to create that rich opulence feel, the client was after. The video below is the fabrics by Larry Laslo, for Robert Allen fabrics. 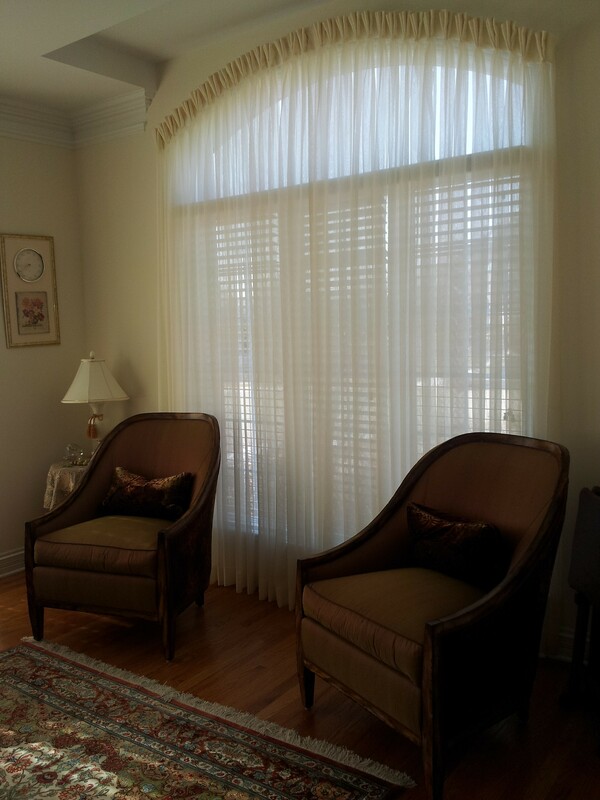 Please notice the use of sheers in this home. The sheer called Cufflinks is used in the bedroom, I have used the same sheer in the dining room above.